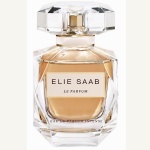 Labanese designer Elie Saab created his first fragrance in 2011; ELIE SAAB Le Parfum. His fashion work initially specialized in bridal couture but has since extended to equally stunning scents. Girl of Now Shine is a new solar and addictive variation of the original eau de parfum Girl of Now. 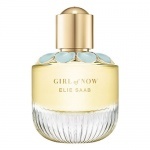 Elie Saab Girl of Now is a distinctive gourmand floral Eau de Parfum with an addictive note of Almond. 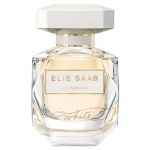 Elie Saab Le Parfum In White Eau de Parfum is an addictive symphony of whites with Mandarin, Bourgeon de Cassis, Sambac Jasmin and Orange Blossom. 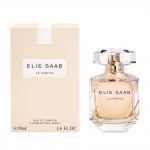 Elie Saab Le Parfum is a radiant and voluptuous perfume with Orange Blossom, Jasmine absolute, Patchouli, Virginia Cedar, Rose and White Honey. 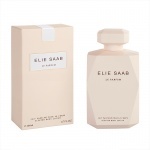 Elie Saab Le Parfum L'Eau Couture has top notes of fresh citrus, heart notes of Orange Blossom and base notes of delicious and crunchy Green Almond. Rose Couture Eau de Toilette explores a theme that is dear to his heart: flowers blending the Elie Saab signature scent of white flowers with a whirlwind of rose petals. A distinctive gourmand floral Eau de Parfum: an addictive note of Almond, textured with Orange Blossom and Patchouli, the brand’s signature. 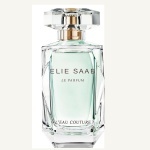 Elie Saab Le Parfum L'Eau Couture, provides an unprecedented contrast between the sophistication of a Couture look and the springtime freshness of a fragrant Eau. Radiant, voluptuous, addictive with Orange Blossom, Jasmine absolute, Patchouli, Virginia Cedar, Rose and White Honey. 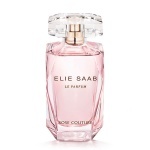 Elie Saab Le Parfum Rose Couture is a dazzling expression of Elie Saab’s aesthetics, Rose Couture explores a theme that is dear to his heart: flowers. Virtuoso creations of the Couturier’s art, they blossom each season in his collections. A light, fluid texture that moisturises, softens and deliciously perfumes the skin. 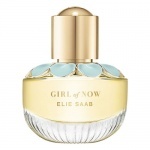 Elie Saab Girl of Now is a distinctive gourmand floral Eau de Parfum with an addictive note of Almond, textured with Orange Blossom and Patchouli, which is Elie Saab's signature. 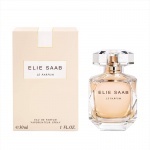 Elie Saab Le Parfum Eau de Parfum Intense brings a new intensity to the original Eau de Parfum. It is sensual and addictive,a reminder of the embroidery on an evening dress caressing the skin. An incarnation of ultimate femininity. A rich foaming mousse that gently cleanses, moisturises and leaves the skin deliciously scented.